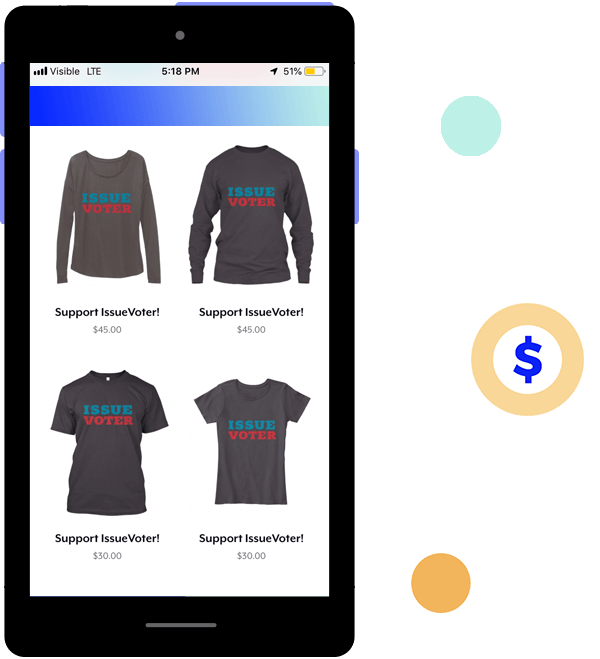 Maria Yuan’s IssueVoter uses Visible to educate people on where their candidates stand on the issues that matter the most to them. 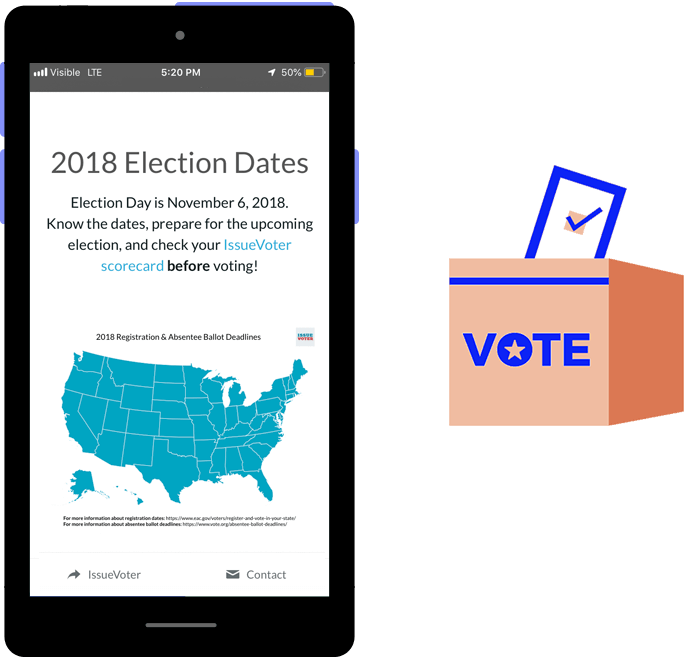 Mic asks tech entrepreneurs: “What are 12 things you did with your phone today?” IssueVoter CEO Maria Yuan uses hers to build communities of informed voters. 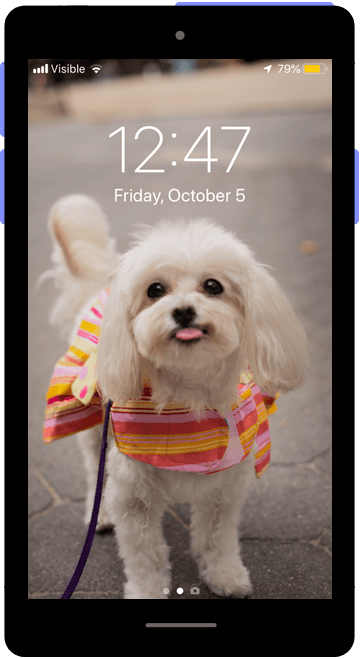 Visible is an all-digital wireless service, easily accessible through its Visible app, that offers unlimited data, messages, and minutes at speeds up to 5 Mbps for $40 a month. Visible recently partnered with Mic to tell the stories of those striving for good in the tech industry, getting a peek into their world through a day in the life of their phone. This article was created by Mic&apos;s branded content team. Sometimes people tell Maria Yuan that they are not into politics or don’t view themselves as “political.” Respectfully, this tech entrepreneur isn’t buying it. “Whether we like it or not, politics affect every aspect of our lives [from] the taxes that we pay [at] the grocery store [to] big picture things like the air we’re breathing,” she said. From her years of experience in both the political and finance worlds, Yuan has learned that everyone has a political issue that they care about. With this in mind, Yuan founded IssueVoter to help more Americans ensure their voices are being heard. 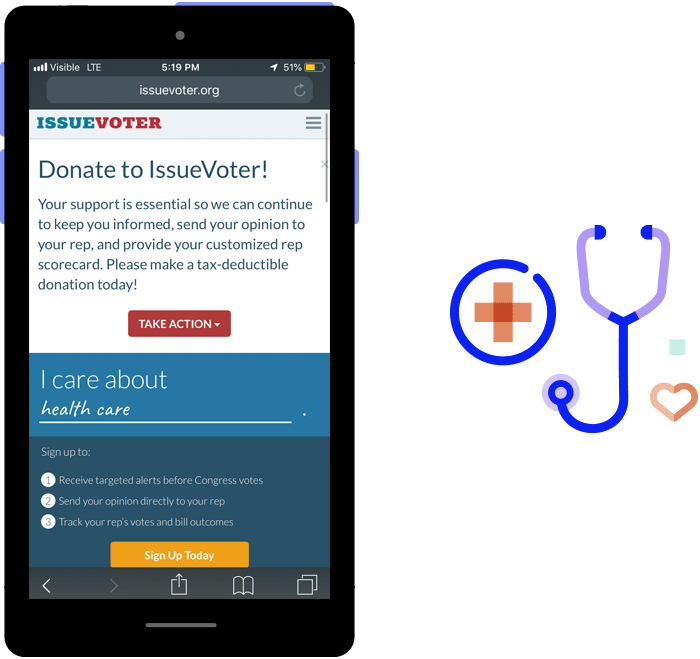 When you sign up with IssueVoter, one starts by choosing which issues matter the most to them, like civil rights, agriculture, immigration, or college debt. 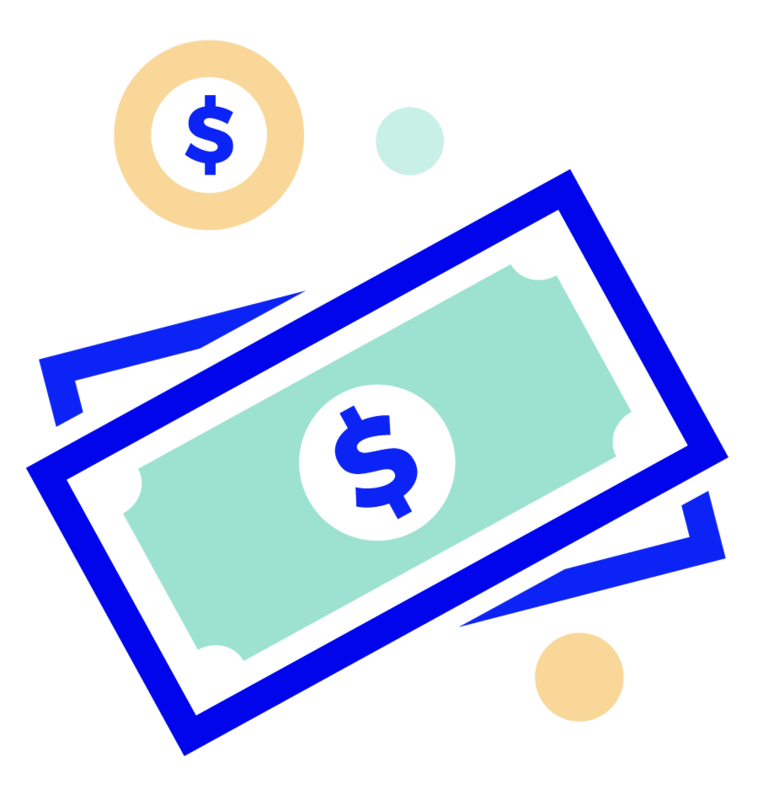 The platform then alerts users to new bills coming up for vote that match their interests. 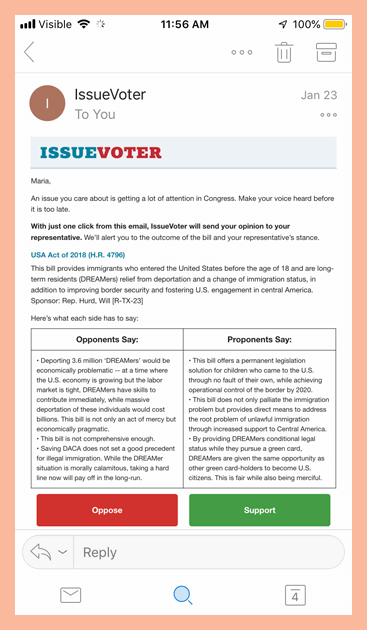 After offering a summary of the bill — including both opponent and proponent viewpoints — IssueVoter asks where you stand on the issue. 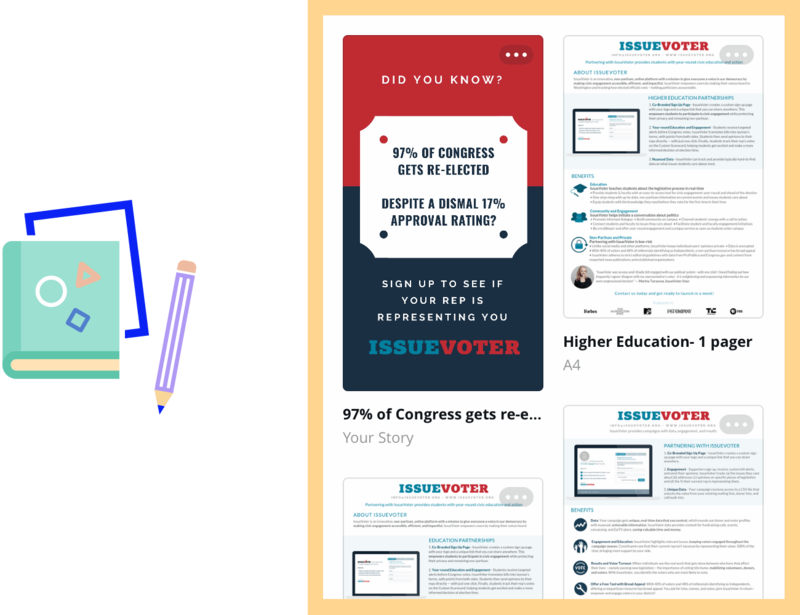 With one click it sends your position straight to your representative’s inbox and follows up with you throughout the year with updates on how often your rep voted in your interests and how often they didn’t. As IssueVoter’s CEO, Yuan is always on the go. 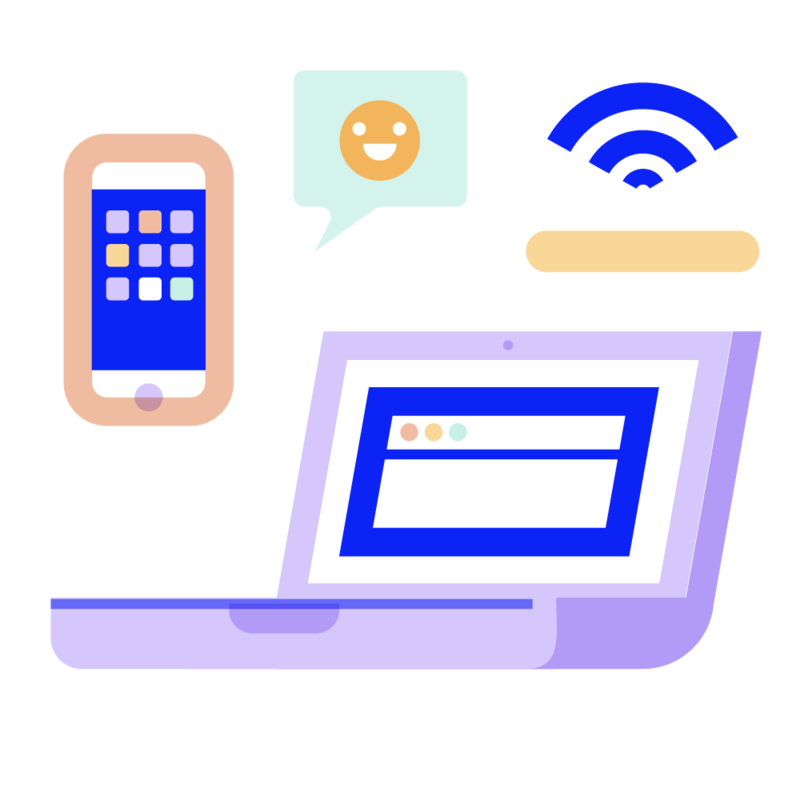 She needs her phone to do everything her desktop can, whether that means updating and sharing spreadsheets, approving newsletter and merchandise designs, or gathering employees and organization partners together for a virtual meeting. 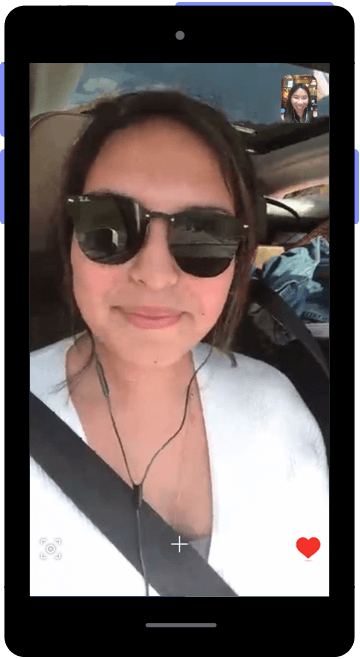 One app in her phone that is crucial to that connection is Visible. Launched in May, Visible is a phone service that, for $40 a month, provides users with unlimited data, messages and minutes nationwide. 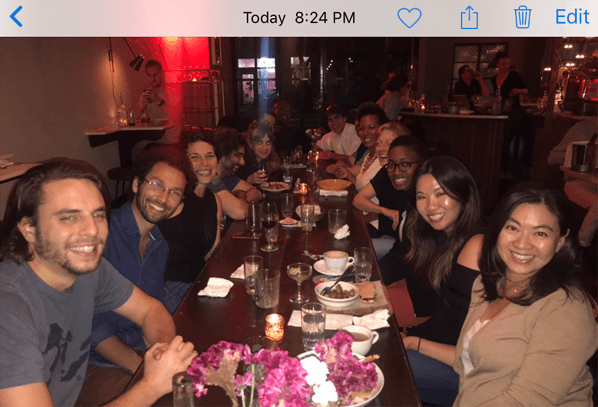 This summer, as part of its mission to change communities through mobile technology, Visible’s social good program, Visible Connect, partnered with venture accelerator Uncharted and selected nine nonprofit startups to support in achieving their mission. IssueVoter happened to be one of the innovative organizations that they chose. Yuan came up with the idea for IssueVoter while working on a critical Iowa state senate campaign in 2006. “I saw how engaged people were in the context of elections, but what I realized was that people become disengaged throughout [the rest of] the year,” Yuan said. “You would never pay and promote an employee without seeing any of their work. 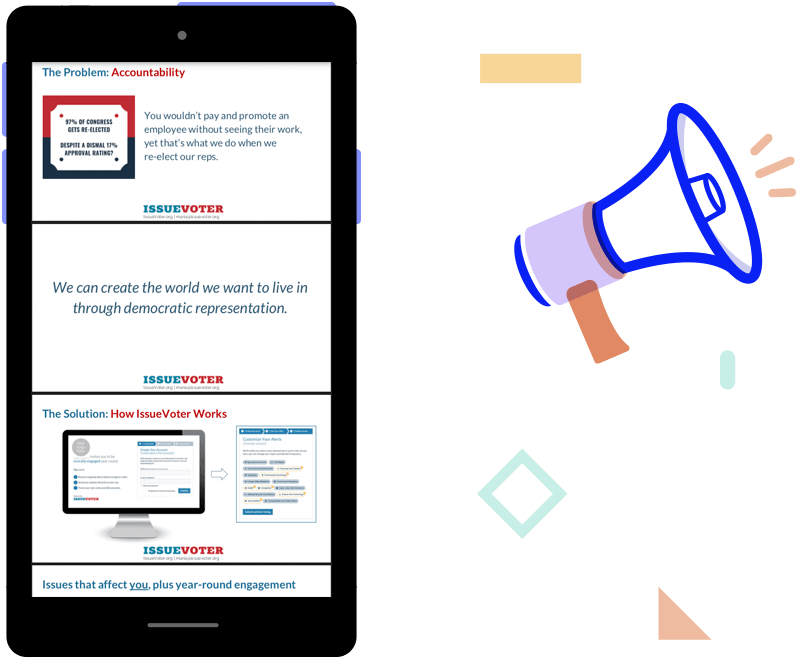 Yet we re-elect our reps without truly knowing the real work they do throughout the year and if they’re representing us.” After scouring the civic tech space and finding nothing that facilitated year-round engagement, Yuan decided to create her own platform, launching IssueVoter in 2016. 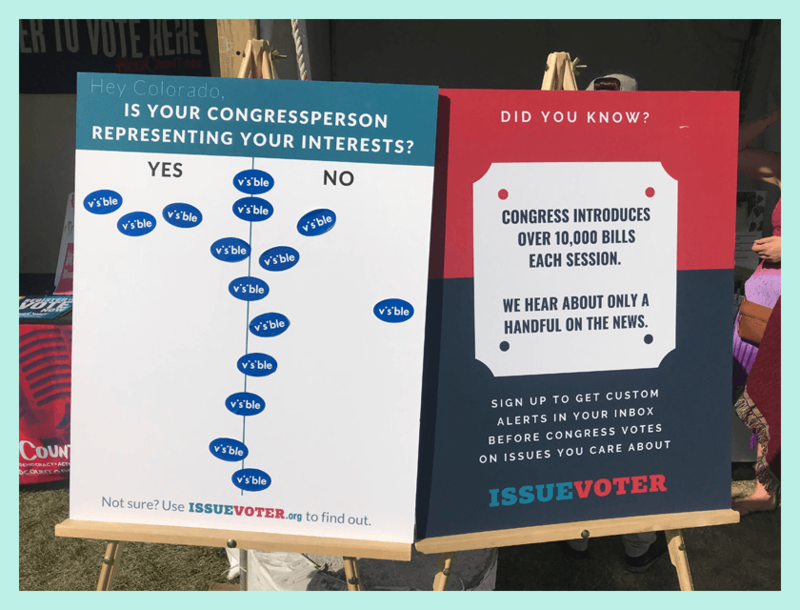 “Before IssueVoter, you would have to go to one website to find out who your rep is, another website to read legislation and learn about what they’re voting on, another website or platform to send your opinion to your rep,” said Yuan. 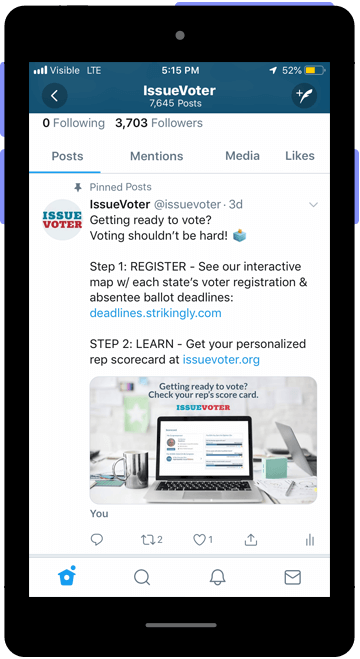 “Finally, you send your opinion or you call or you sign a petition and then you never hear back.” Features like IssueVoter’s scorecards, bill alerts, and bill summaries, give users an easy way to hold elected officials accountable. More than just voting, it emphasizes the importance of people making their voices heard throughout the year. For IssueVoter’s small, completely remote team, that connection is invaluable. Yuan and her coworkers rely on phone and video conferencing to communicate both internally and with their nationwide network of partners. IssueVoter is working to not only become a household name, but also to expand into local elections and other representational democracies. In the US, Yuan says it has already achieved a number of successes, including boasting users in all 435 congressional districts.